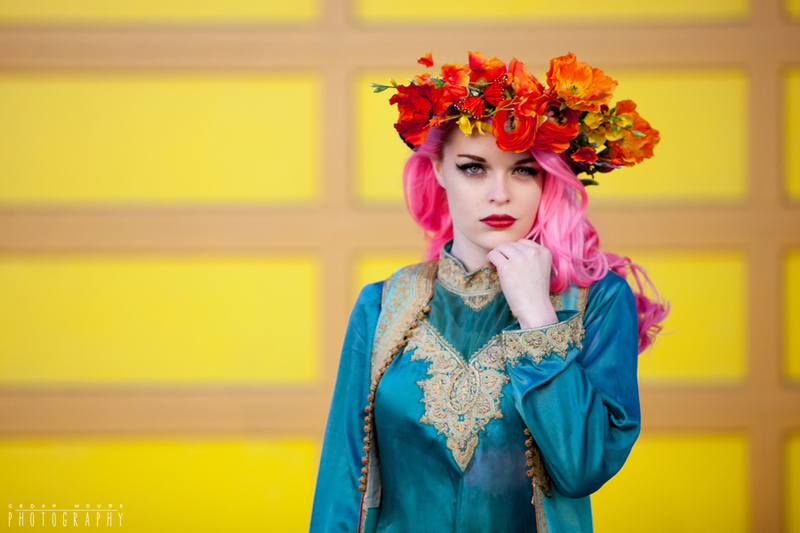 I absolutely LOVED shooting with Jemma when I was in San Francisco recently. Not only is she stunning and amazing in front of the camera, I'm also totally in love with her hair, and she is just the coolest, sweetest person in the world. 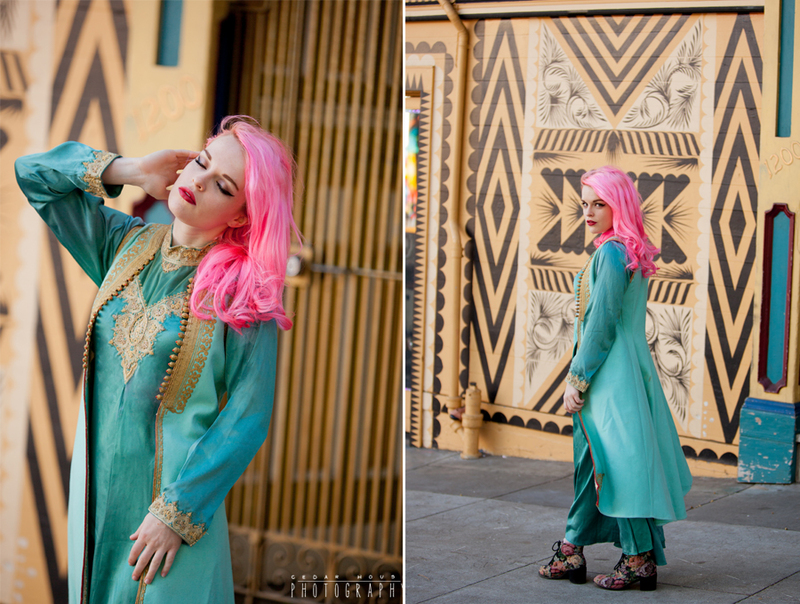 I found the awesome dress and duster jacket at a cool vintage shop in Santa Cruz and I knew instantly that they would be perfect for this shoot. 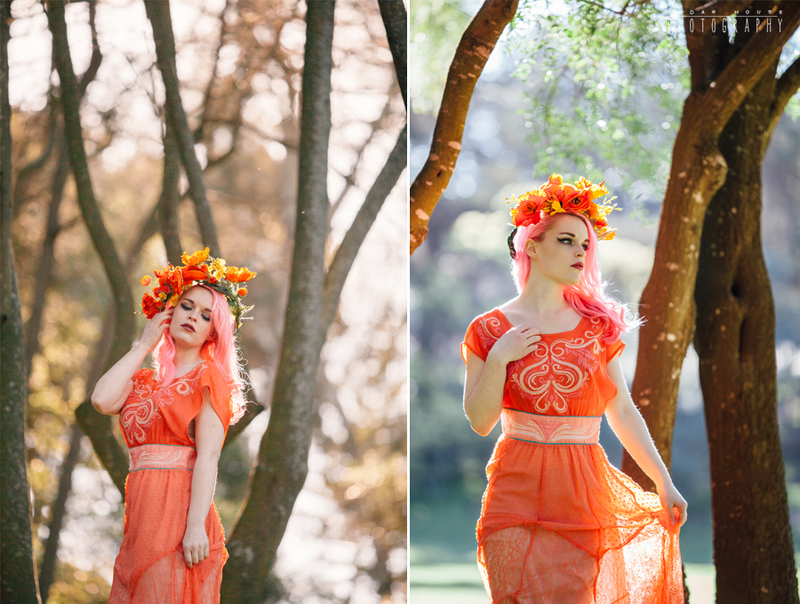 This session has seriously tempted me to dye my hair some amazing color :) We had a blast wandering around the Haight and shooting in the glorious morning light at Golden Gate Park. Jemma- thanks for the awesome shoot! You're amazing and destined for wonderful things!